Ben Balistreri: The Final Showdown! 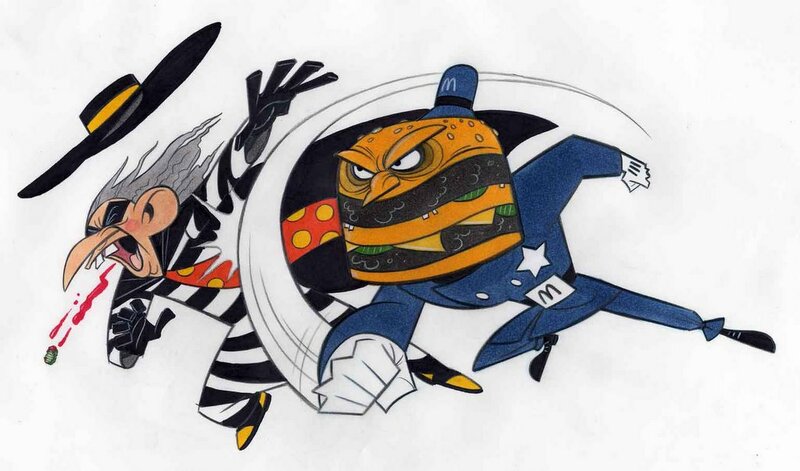 I'm hoping to someday write and direct a live-action movie of the battle between Big Mac and Hamburgler. Right now I'd like to cast Sir Anthony Hopkins as the Hamburgler, Wilford Brimley as Big Mac, and of course Mayor McCheese as himself. I'll probably introduce a female love interest: McLean Deluxe, who is a brilliant scientist and works for the FBI. I'll just cast some flavor-of-the-month teen pop star for that role. My early plot idea is that Big Mac, (who is haunted by the death of his parents) quits the force when his partner, (McDLT, who has one day left to retire,) is eaten in the line of duty by Hamburgler. Big Mac decides to play by his own rules to bring justice to the Hamburgler. Hamburgler's gang, The Fri Guys, (played by Flavor Flav and Gary Oldman) kidnaps McLean Deluxe and brings her in just as Big Mac is about to kill Hamburgler. In order to save her, Big Mac has to sacrifice one of his precious all-beef patties to the maniacal Hamburgler. Little does Hamburgler know that Big Mac anticipated all of this and secretly replaced the patty with one tainted with Mad Cow disease. Hamburgler's head explodes and Big Mac says some cool catch phrase, like "You want CHEESE with that?" Then he and McLean Deluxe kill the Fri Guys, (cause she's no damsel in distress). Then Mayor McCheese tries to get Big Mac back on the force to stop some other menace, (probably Captain Crook and the evil 4-armed Grimace teamed -up). As they argue the credits start to roll with a hip remake of the Big Mac song. I'll post more drawings and work out the story idea later. Although it's pretty tight already. Hahahahhahahahaha!!!!! Great! I'll go to see that opening night for sure!! Sweet!! I'll also be there for the world premiere! Really fun illustration Ben! Nice with the pickle too . . .really funny encapsulated in great design man. Nice. Thanks ya'll. dik posse, I doubt I'll need financial backing once McDonalds hears this sweet gem pitched. And if by some unbelievable chance they don't just invest 200 million that instant, I'll drop the sequel idea that introduces McRib. That will be enough to open their pocketbooks, guaranteed!! lOVE THE DESIGNS HERE. I've been to your wbsite and your designs are awesome I love the use of shapes, I'd love to get some feed back if possible. Ben, if you dont need the money, then I will just wait in line with the rest of these folks...my mouth waters with anticipation!!! Hey dik pose, that's a great idea. I am a little worried it might be a little cliche...maybe if the "street wise punk kid" was also into extreme sports we could really have an interesting and relatable character. We'll call him Filet-O-Fish and he will be 100% CG. I'll get my buddy Shannon Tindle to be the voice, as long as he does his inpersination of Merman from the He-Man show. Beautiful work Ben! 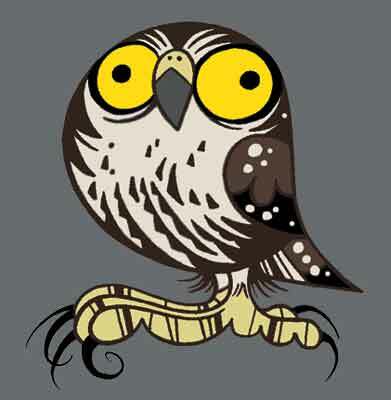 Your designs are always funny, expressive and imaginative. You are a cartoon master! Too funny man . . .the "street wise punk kid" should definatly 3D watered down design from the original 2D design enabling the "generic look." This is quite possibly the best blog post I've seen ben. That image is my new desktop! I'll be in line for the opening, with a video camera in my bag! HA! This caught my eye. Love the work and I love the designs for Danny Phantom. I should be watching more Nick shows instead of the usual Cartoon Network lineup. I know this is a late post but that flava flav fry guy literally made me laugh out lound...and i'm at work.... great post and killer plot.